I’m a self-proclaimed social media addict. You can find me hanging out on Instagram, Twitter, Pinterest, Snapchat, Instagram (again), and Facebook. 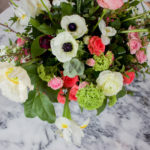 I use each platform differently, but ultimately, I use social media to market my blog, increase my website traffic, build relationships…and yes, I use social media to entertain myself, too. Of course, just when you think you’ve nailed your social media strategy, something big changes and throws everyone for a loop – and an influencer marketing agency helps us piece ourselves back together. Most recently, the loop has been the introduction of Instagram Stories. 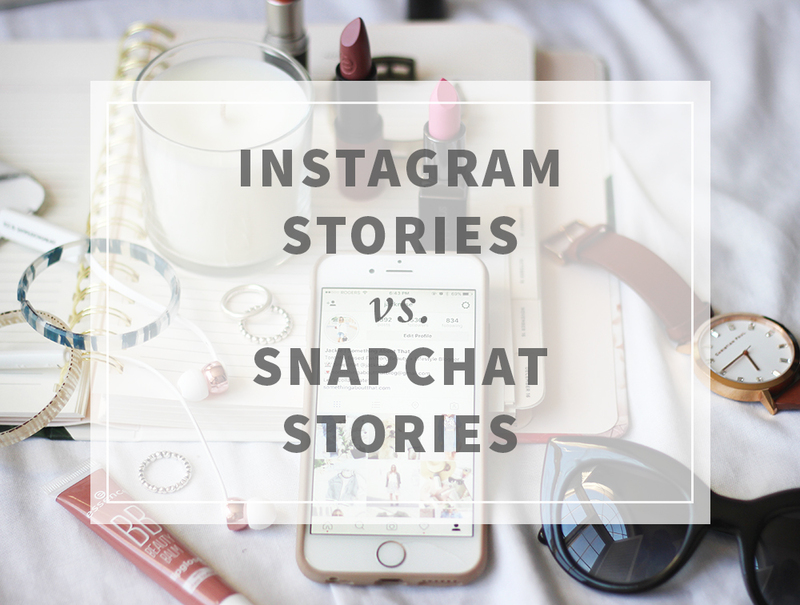 For the last few weeks, all of the bloggers and businesses I know have been wracking their brains about the debate: Instagram Stories vs. Snapchat Stories. but first…What are Instagram stories? “a new feature that lets you share all the moments of your day, not just the ones you want to keep on your profile. As you share multiple photos and videos, they appear together in a slideshow format: your story. Sounds familiar, doesn’t it? Yes, that’s because it’s very similar to Snapchat’s Story feature. Hm. Way to throw us all for another loop, Instagram. There’s no denying that when you look at Instagram Stories vs Snapchat Stories, there’s a lot of overlap. Anyone who says they didn’t just rip off Snapchat’s idea is being naive. However, I had other concerns about the new feature. My concern with Instagram Stories was the fact that it adds at least another 30-40 minutes to my “social media routine” each day. I know I’m not the only person who’s been asking themselves questions like, “do I follow too many people?” “When am I going to fit this into my day?” “What if I miss something”? It’s introducing us to a new level of potential FOMO. Aside from adding more onto our plates, another important concern that bloggers and brands have is, “do I use Instagram and ignore Snapchat…or do I use Snapchat and ignore Instagram?” No one knows where to put their content. It’s a challenge that we’re all working through right now. There are services like kenji that help to optimise your Instagram posts and direct a target audience towards your page, which could drive more sales. 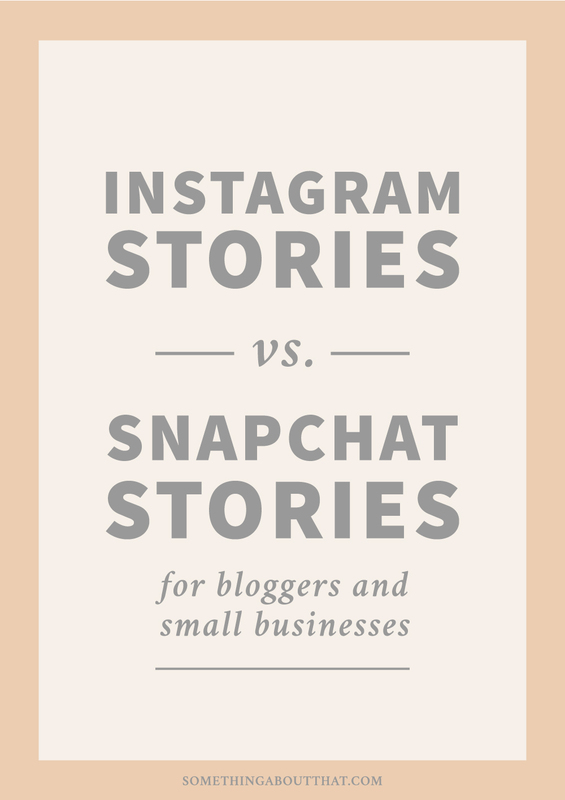 As a bloggers, we need to think about the Instagram Stories vs Snapchat Stories debate strategically. Engagement and views: There’s no comparison. 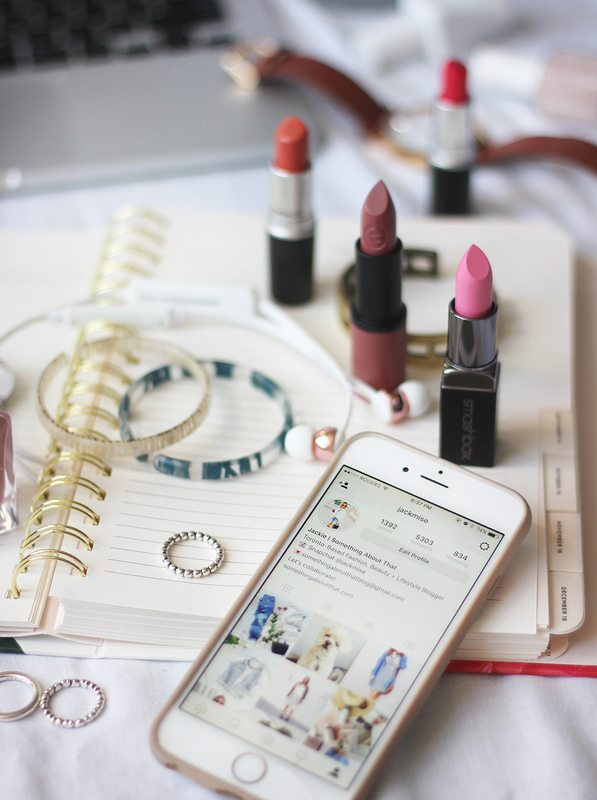 For many bloggers and small brands, Instagram is the social media platform of choice, so there’s already an established follower base. As well, thanks to hashtags and the “explore feature,” it’s easier to grow a following on Instagram than it is on Snapchat. As a result, you’re guaranteed to have more impressions on your instagram stories. User experience: This is definitely more trivial than the previous point, but the user experience feels “friendlier” and more sophisticated on Instagram. You have the ability to go backwards in someone’s story, which comes in handy if, heaven-forbid, you miss something. I also love the way the screen flips, if you want to skip someone’s story all together. It’s very sleek! More brush options: I really love to hand-draw words and little elements onto my Stories, and Instagram has three different options to choose from. I really love that you can adjust the thickness of the brush. They also make it easy to choose different colours. Minimal detail or not, it’s still a win for Instagram. Filters and Geofilters: Yes, Instagram offers filters, but they aren’t nearly as fun, unique, or hilarious as the ones you can get on Snapchat. While there are ways get Snapchat filters on your Instagram Story, I can’t be bothered. It sounds like a lot of unnecessary effort, tbh. Better sense of community: Because (most) people have a much smaller following on Snapchat than on Instagram, it feels like a more tight-knit community. I sometimes refer to my Snapchat friends as my “Snapchat fam!” I also feel that I’m more engaged with Snapchat Stories than I am with Instagram Stories, due to the sheer volume. I’m sure I’m not alone on that one. 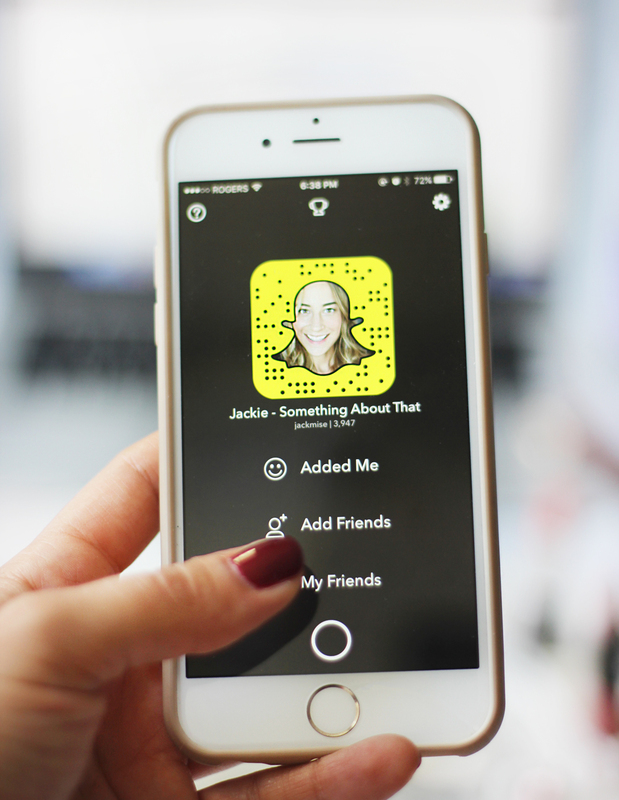 It’s random: Even though Snapchat is an extension of your brand, it’s still a separate entity. I’ve never really had a strategy for Snapchat, aside from connecting with people and being myself. Even though it’s expected that an Instagram story will be more raw and unedited than one’s highly curated and staged profile, the content on Instagram Stories should relate back to the brand in some way. SO…what should you post and where? Snapchat is still a great place to share those miscellaneous, random snapshots of life. 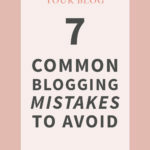 Use it when you’re out with friends, or at a blogging event. Snap your random thoughts, when you feel like having a conversation with yourself. (Bonus points if said conversation occurs with a dog or flower crown filter.) If you’re a small business, use Snapchat as a way to share exclusive, behind-the-scenes content, special promotions, or contests. Snapchat is a place where your most engaged audience will want to follow you. They want more content, so they can get to know your better! I’ll be honest. Up until now, I’ve been holding back on posting to my Instagram story, because I haven’t been sure what I wanted to post there. After all, it’s not the “same” as Snapchat. Instagram Stories should be personal and raw…but not too personal or too raw, if that makes sense. 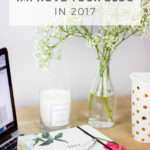 It’s important to keep in mind that the content you share should have some relevance to your blog or brand, or else your audience will most likely not be interested. For instance, if you’re a fashion and beauty blogger, and all you post about on your Instagram Story are snapshots from the gym and photos of your lunch…it’s likely that your audience won’t be interested. Instagram Stories are a great place to share your blogger mail, office tours, relevant events, and behind-the-scenes previews of what you’re working on. Since I post a lot of flat lay shots on my Instagram account, I’ve posted some behind-the-scenes looks at my process. The feedback was great, so now I’m considering the idea of sharing a step-by-step look at how I put my flatlays together. You can also consider creating daily or weekly series’ to share on your Instagram Story. I’ve seen some great ones already. 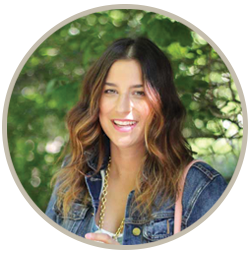 For example, Lauren from This Renegade Love has been featuring some of her favourite Instagrammers and why she’s inspired by their content. Furthermore, Gaby from What’s Gaby Cooking does a cooking tutorial on Fridays. This started as a Snapchat tradition, but she felt like it was more fitting for Instagram Stories. In either case, these are new traditions, but they are in line with what each respective bloggers’ audience expects from them. Ultimately, there’s value to using both platforms…and because Instagram Stories are still relatively new, there’s a lot we can all learn about them. Just keep in mind, if you’re a blogger or small business and someone follows you on Instagram, it’s for a reason. People follow because they like your feed and/or your brand. If this same person chooses to follow you on Snapchat, it’s because they want to learn more about you. What’s your take on the Instagram Stories vs Snapchat Stories debate? Do you have a strategy? I’ll be honest…it stresses me out to think about having to use BOTH at the same time. I haven’t used Instagram Stories yet, other than a few test shots. I still go straight to Snapchat when I want to share more random or personalized, in-the-moment content. For brands, it definitely makes sense to capitalize on an existing Instagram audience rather than trying to rebuild on Snapchat. But I also agree that a Snapchat community is much ‘tighter’. It stresses me out a LOT too…and that’s kind of the reason that I made some notes and decided to share. 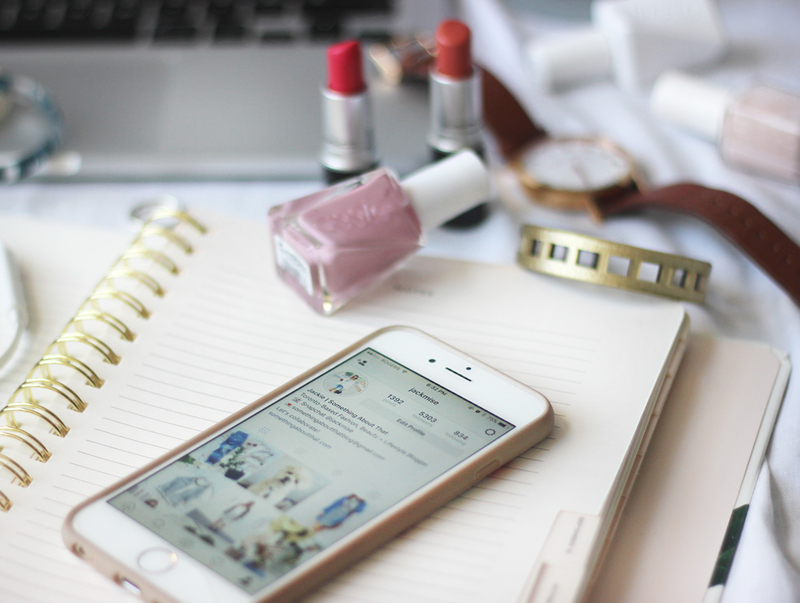 Instagram makes SO MUCH more sense for marketers and collabs…but I just love my snapchat! Love this! So helpful for navigating both snapchat and insta stories…. Having to keep up with both is so time consuming! I really loved your post though because I’ve been having trouble deciding whether to keep posting on Snapchat or not. I just still love it though! Ugh, I haven’t know what to do! For several days, I just didn’t post on either because I felt stuck. I am a little hot and cold with snapchat anyway and now something else to keep up with?! U;timately I’ve stayed mostly on snap but have used stories some. I get more responses on it. I’m still staying away because I don’t want to like….”Screw up” somehow! This is so great! Well written and perfectly organized! I agree with the duplicate content, I think that’s the biggest no-no and a lot of people struggle with that (including myself at times). Great tips babe and thanks for sharing! I’m loving the change from IG, it’s been great but I barely have time to use it right now. Oops! I know the feeling! I like the fact that no one will “notice” if you’re active or not, the way you notice if someone doesn’t post photos/videos to Insta. I personally LOVE Insta Stories because it’s sleek and seamless and I don’t need another app. You can also see stories from people you don’t follow in case you stumble across them. But I still like Snapchat too for more personal stuff! Interesting feedback about Insta stories! I hope you found some of the ideas helpful! This is such a thoughtful comparison of both- I haven’t really gotten too deep into Instagram Stories yet- mostly because I keep forgetting! Gotta build the habit. 🙂 I still love Snap so much! This is a really interesting comparison of both – I haven’t actually started using either yet and am not sure I want to as your initial point about adding more time to your ‘social media routine’ is a real concern to me! I don’t think I have the time or enthusiasm to start either just yet so I will wait and see how things span out over the next few months! Ah! I am so glad you wrote this post! And I am glad I am not the only one that has been spending more time on social media because of the Instagram stories updates. I almost like Snapchat better because there are some people I want to follow and get instant updates from, whereas others I just want to see their static pictures. But, I think that Instagram stories might win out because it is nice to have everything in one place. i totally agree ewith everything you wrote! it truly is so hard to keep up with everything via social media. awesome post. I’ve been loving Instagram stories lately. I’m a beauty blogger so I go to a few events. Where I might post 1-2 pics on my instagram feed about it, I can put a lot more on my story without overloading people. Things like what we ate at the event, or little videos. I’ve been getting good engagement over that!